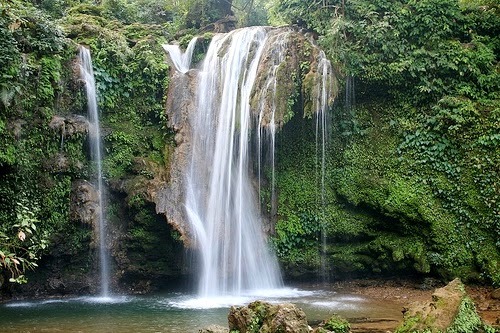 Corbett Water Falls is situated 25Kms from Ramnagar. Surrounded by thick teak wood jungles and narrow winding road, this area is bound to give you an out of the world feeling. The best aspect of this area is that it is extremely serene and tranquil. The chirping of birds in the background and gentle sound of water flow makes it an ideal destination for nature lovers. This 20 meters high fall is simply a sight to behold. It is immensely famous for being a camping hide out. It has gradually become a famous destination for tourists visiting Corbett National Park. You can take a walk in the forests and experience a surrealistic peace into your soul. Get rid of humdrum activities and feel something that’s absolutely unique. The forests surrounding this water fall features a wide range of bird species, so it is obviously popular among bird watchers. If you’re looking out for an interesting picnic spot in Corbett, then here’s something to cheer about. The forest department has taken all possible measures to provide all the necessary amenities for promoting Corbett Falls as a picnic spot. Best time to visit Corbett during winter season because the atmosphere is beautiful and stroll around with ease.